Disney’s The Lion King just celebrated its 5,462nd performance last night and climbed the charts to become the seventh longest running show on Broadway. That move bumps Disney Theatrical’s inaugural show, Beauty and The Beast, down to eighth. Raise your hand if you’d like to see Disney bring Beauty back to the stage. I know that’s a long title, but it’s really a great deal. For the first time Florida (and Georgia) residents will receive an unlimited pass to SeaWorld Orlando valid through the end of the year included with their reservation. If I had the money sitting around, I would totally take advantage of it. 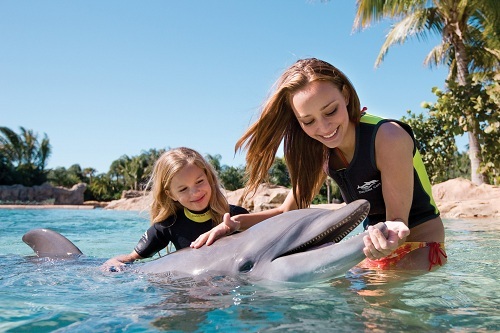 While, I haven’t been there myself, everyone I talk to who has says Discovery Cove is one of the real amazing experiences in Central Florida.